In our efforts to include voices that offer options for our current human predicament, we often overlook those in our own local communities. I’m fortunate to live within an hour’s drive of sustainability expert and futurist, David Wann. He recently spoke here in Boulder, Colorado, promoting his new book, The New Normal: An Agenda For Responsible Living, along with Simple Prosperity, and Affluenza (three of ten books penned by Wann), and after hearing his comments, I felt compelled to interview him in order to focus in-depth on some of his innovative and exciting proposals. CB: David, tell us a bit about your background and your journey from the 1950s values that most people our age were raised with. 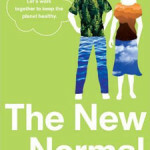 How did you get from there to where you are now so that you could write such a phenomenal book like “The New Normal”? DW: Back when I was a teenager in the 1960s, I felt queasiness lurking in the easy-going euphoria of the American lifestyle. Gandhi once said, “Speed is irrelevant if you’re traveling in the wrong direction,” and it was obvious to me that the accelerating pace of life in the U.S. didn’t have a real direction. Everything was becoming automatic, comfortable, and “convenient,” yet other than going to the moon, banishing germs from our kitchens, and scrapping with the communists, we seemed to be floating up and away from reality like soap bubbles. We each wanted to expend as little effort as possible but still get paid handsomely for it so we could live the good life, before we… popped. I began to notice that people whose lifestyles didn’t center on money were often healthier and more interesting. They seemed more caring and unselfish, and they were passionate about doing active, celebratory things like playing music, dancing, playing chess or bridge, embroidering, fly fishing, cooking delicious meals, studying history, gardening, and staying current with political issues. TV wasn’t a central part of their lives; they were less distracted by commercial hype and less detoured by all the products. What they earned seemed less important than what they learned. I was fascinated that in many cases, the ordinary, American Dream-life was much more expensive than the extraordinary lives of these unique, self-creating people who lived their lives rather than trying to buy them. They had the real wealth – things that made them feel glad to be alive. 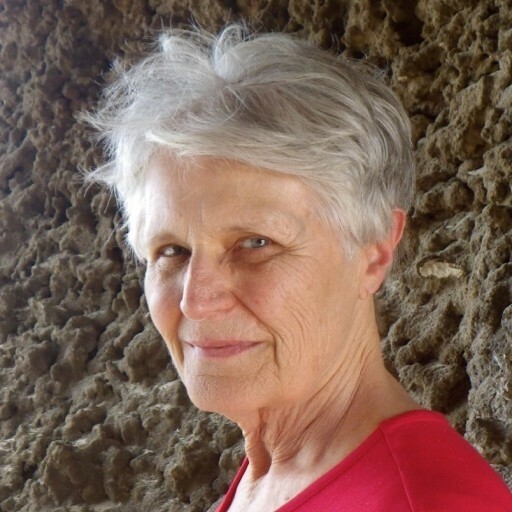 Since those early years, I’ve worked ten years with the U.S. EPA, written or edited ten books, produced fifteen videos and TV documentaries on various aspects of sustainability, and helped design and govern the neighborhood I’ve lived in for 15 years. My conviction that our species needs a new way of being in the world has only gotten stronger. The rules and norms we live by – our social “software” – are now obsolete in a world in which temperatures and populations are rising but water tables and human satisfaction are falling. We urgently need to adopt and implement a simple but proven 4-step strategy to break our addictions to various substances from oil to stuff to prescription drugs. 1. Admit we have a problem of unprecedented proportions. 2. Humbly seek support and cooperation from each other, from whatever higher power we acknowledge, and from history. 3. Create a healthy new cultural identity. 4. With fresh new goals and priorities, intervene in the broken systems and patterns that are destroying the world with which we evolved. We should shoot for health and wellness rather than wealth and “hellness,” and agree to move, together, away from a lifestyle of deadlines and dying species and toward lifelines and living wealth. In The New Normal, I researched and presented 33 leverage points or key places to intervene to quickly shift our economy and culture in a more admirable, affordable, and sustainable direction. The big picture is that production and consumption will no longer be the defining characteristics of the emerging era – cultural richness, efficiency, cooperation, expression, ecological design, and biological restoration will be. CB: Right now as you and I sit here, the prices of food worldwide are surging daily. Yet you tell us in your book to buy organic food. We can grow some food, but much of it we can’t. And in this time of global economic crisis and skyrocketing food prices, why should we spend the extra money for organic? Americans are overfed but undernourished. We have the cheapest food as a percentage of income in the “developed” world, but the most expensive health care. In recent years, national spending on health care jumped from 5 percent to 16 percent of national income, largely to treat preventable diseases. Meanwhile spending for food fell from 18 percent of household income to less than 10 percent. However, judging by the trends, we will spend more of our discretionary income for healthy food in the near future and less for poorly designed gadgets, clothes, and monster-houses. And this change in dietary priorities will deliver solid, satisfying value. We’ll have more energy and be more productive. We’ll spend more time baking and breaking bread with friends and family, and less time at the doctor’s office. “Let food be your medicine,” Hippocrates counseled long ago, and insurance companies nervously agree. Observes Michael Pollan, every case of Type 2 diabetes they can help prevent with better diet and exercise adds $400,000 to their bottom line. Suddenly every can of soda or deep-fried chicken nugget in a school cafeteria is seen as a threat to future profits. So the insurance and health care industries are part of a coalition with enlightened farmers, politicians, and citizen activists, that is bring radical change to the food system. Evolution dictates that we should eat organic. The better food we eat, the less we go to the doctor. Furthermore, organic food gets CO2 out of the air and back into our food. What is more, organic materials hold water, and this is especially relevant here in Colorado with its water issues. We would all do well to shift our budgets so that we can eat organic. But our backs are against the wall, there’s no doubt about that. The assumptions and goals that guided agriculture in a world of one billion (1800) or two billion people (1930) are way out of date. We need to preserve the source of our food – the farms themselves – or else the global food system will collapse, as it already has throughout history. Yield and profit are important, but so are preservation of soil and water; restoration of biological diversity; safety and healthiness of food; radical reductions in fossil fuel consumed and greenhouse gases emitted; and co-evolution with an increasingly urban population. Fortunately, the global food system is one of most easily adapted major systems (though it won’t be a snap) for several key reasons: agriculture has until recently been solar-powered, and can be again, when oil becomes too expensive to prop up the industry. The supply-and-demand economics of the food system are accessible to consumers, who are becoming more aware of the overall value of food purchases. Because food affects the most important issues of our times – energy, health, security, equality, biological habitat, and climate change, agriculture will come under increasing public and political scrutiny. The trend toward organic produce and whole foods grown in market gardens and small farms will continue – not just because it can be financially lucrative but also because the work is satisfying to a certain, green-thumbed sector of the population. For example, 2010 was the first year in many that there were more farms in the U.S. rather than fewer. CB: We live in a state (Colorado) that is going to confront very serious water issues in the near future, especially as climate change worsens. From your perspective, what should we as a state and as local communities be doing about this now? The issue of water has always been interwoven with keystone resources that lie beneath the bottom line of our abstract economy: oil, grain, minerals, and topsoil. Ask farmers and ranchers who have relied on “fossil water” from aquifers if water shortages are real. Many have now gone out of business. Many of the strategies we need to implement are already underway, but we need to amplify and expedite them. Our landscapes are far too thirsty, and can benefit greatly from a higher level of water-conservative design, using more appropriate plants, mulches and increases in soil organic matter to hold the water. Innovative farmers drip water right into the root zone, however many of them still ship water thousands of miles in the form of juicy peaches and tomatoes. Long “food miles” to transport watery produce may one day become a taxable offense. Water is embedded in many other products and practices currently in use. For example, although plumbing fixtures are becoming more efficient, there’s still great potential in products like the dual flush toilet. Why use a gallon and a half of water to flush urine? Water and wastewater treatment will be much more efficient in the future, and operate at a much smaller, more local scale. For example, “living machines” can treat wastewater right in the neighborhood with cattails, snails, fish, and other organisms in greenhouse tanks, without nuisance odors, providing clean water for irrigation. Another emerging energy technology, the fuel cell, can also produce clean water for neighborhood use, without any noise or pollution. This is a huge departure from fossil fuel and nuclear plants which require up to 40% of a region’s water for use in cooling towers. We need to collect rainwater and use gray water in our state, which can only happen when state laws change. Already, Arizona, New Mexico and California laws allow these uses, why nor Colorado? In the long run, the best way to conserve water is to host fewer people at a time on our small planet. When the fossil water runs out and glaciers dry up, our current “normal” will be revealed for what it is: a very temporary and excessive binge. CB: In “The New Normal,” you have a section on the new affordable economy which is absolutely amazing. It is a roadmap for where we need to be in order to insure the continuation of our planet and our species. What are some of the characteristics of that economy, and what has to happen for us to get there? Though we still cling to our current, high-stress lifestyle, it’s become crystal clear to many that the half-millennium-long Industrial Era is running on empty. There’s not enough rich industrial ore, topsoil, or biological habitat left for the same old hyper-consumption game to continue— especially as human population and expectations continue to swell. There’s not enough natural resilience to absorb our wastes and provide immunity; not enough climatic stability, psychological stamina, cheap energy, timber, or potable water, either. A primary goal in the new era will be maturity rather than growth. In their most mature, climax stages, biological systems have learned how to optimize diversity, resourcefulness, and resilience, weaving partnerships among species to make use of each scrap of resource. As a subset of nature, so should we. To create an affordable economy, the Holy Grail should not be unlimited growth but maturity, like a well-practiced, flawless concerto or a basketball team whose plays are perfectly executed. The players don’t need to be bigger to win games, just better. It seems that a majority of Americans don’t yet understand that there are too many transactions, too much “throughput” for biological systems to remain stable. More consumption isn’t the answer to our economic challenges; it’s where the problems began. Every single day, the global economy extracts the volumetric equivalent of about 112 Empire State Buildings from the earth, disrupting the nests, seedbeds, roots, and hunting grounds of gazillions of living things—our planet’s real wealth, which provides clean air and water, flood control, pest control, pollination, renewable energy, fertile topsoil, and climatic stability. When natural systems degrade, life becomes more expensive. One of the most powerful points of intervention is social: the definition of “success.” In the new normal, we won’t consider individuals and cultures successful unless daily life is rich in discretionary time, trust, health, social connection, and meaning. Yet, in a recent Gallup survey of 150 countries, the U.S. ranked at the bottom, below 145 other countries in overall stress – just ahead of Iraq and Afghanistan. If the quest for material wealth is bankrupting nature and filling us with anxiety, why don’t we just change the goal? Stepping outside the box into a brand new paradigm may be the most effective lever of all. Right now, our economy is all about plunder—destroy nature and make money. It must become about preserving nature as a way of making money. The restoration of nature should be our overall mission for the remainder of this century. We already see remarkable results from approaches like marine reserves, where fishing is temporarily banned. After a New England snapper fishery was protected for a number of years, the local population of snapper increased 40-fold, and as supply went up, prices came down. Yet old-normal federal subsidies for fishing, farming, and forestry encourage depletion of resources like fish, water, soil, and old growth trees, because they reward yield and neglect to protect the source of that yield. Instead of subsidizing farmers based on quantity of yield, our money will be better spent rewarding maintenance of soil and diversity of species. Protecting natural resilience avoids environmental and social costs that make life more expensive, such as erosion, pesticide and fertilizer pollution, and loss of rural communities. The redesign of America’s suburbs can also make life less expensive. By changing zoning laws to permit restaurants and hardware stores, by growing gardens rather than lawns, by establishing neighborhood vanpools, shared power sources, and recycling systems, by creating town centers that supply what local residents need, we avoid the need for relentless economic expansion by meeting needs directly. Dysfunctional systems are not affordable. The way we make and consume products offers a universe of opportunity, too. High on our hit list are reductions in unnecessary packaging and air travel, excessive meat consumption, glossy green lawns, and food waste (the average household throws away 14% of what they buy). Flagship American industries like cement and steel are only half as efficient as the global state of the art. In the case of steel making, we miss an opportunity to convert to high-efficiency electric arc furnaces because they use recycled steel, and our recycling rate for steel is a dismal 60%. In the new economy, recycling will become a ritualized, standard practice, embedded in design and policy, so less costly extraction is required. We can have much greater quality and durability in our products if we stage a cultural revolution of “consumer disobedience.” Maybe our motto can be “fewer things but better.” With fewer things, we’ll be happier in smaller, less expensive houses, and as a society, we can convert much of our expansive housing stock to multi-family dwellings. We currently spend $900 per capita to be shelled with unsolicited advertising, embedded in the cost of products and services. A culture that is less consumer-driven will tolerate less advertising and less debt. And less debt means less interest on the debt. Close to half of the diseases Americans suffer are preventable with improvements in diet, exercise, and stress reduction. For example, we spend $150 billion annually to treat diabetes and $120 billion on obesity. Many of these ailments are symptoms of the way we live. For example, one economist suggests that the huge gap between rich and poor in America is creating unprecedented stress. Our unaffordable economy is making us sick. We are a nation on the edge of a nervous breakdown. We consume two-thirds of the world’s anti-depressants as we battle for position in the economy. Why not just declare a cease-fire with the Joneses we’ve been trying to keep up with? We’ve bought into the notion that if we’re not wealthy, we’re not good enough, which creates horrible stress and anxiety. Why not become citizens again, creating employee-owned businesses and member-owned credit unions that can reduce both killer stress and unnecessary expenses? (Credit unions save $8 billion a year in interest on loans because they are non-profit) Why not invest in community bonds, portfolios and banks and make living returns on our investments? Savings like these are possible not because we are “cutting back,” but because we’re tuning up our value system, getting rid of waste, creating and adopting more sensible ways of getting things done. Rather than mandating 100,000 hours of work and commuting per lifetime, a more affordable lifestyle enables each citizen to work less and pay closer attention to things that really matter, like the health of our families, communities, and the environment. So with that in mind, what do you think needs to happen spiritually and emotionally for humankind to embrace these 12 principles? Can you spell that out specifically for our readers and tell us a little bit about what that would look like? Some of it may be pleasant to think about, and some of it may not be pretty. But this cultural epiphany can’t take place unless we are willing to leave our comfort zones, and unless we recycle some familiar assumptions that are no longer useful. For example, that the environment is inside the economy. That people are only worth what they are paid. That economic growth of any kind is always good. That one country can teach another how not to kill, by killing them. We have experienced a mini-Golden Era since World War II. Many of our challenges have been solved (or at least apparently solved) with technological innovations that have increased labor and land productivity. However, we now face challenges of a different nature; technology is not the limiting factor of productivity—resources are. Deeper wells can’t pump water that’s no longer there, and larger boats and nets can’t harvest more fish when fish populations have been wiped out. Since we can’t change certain biological and geological realities, we need to change ourselves instead. As in Elisabeth Kubler-Ross’s progression towards the acceptance of death or tragedy, we need to move through denial, anger, bargaining, and depression and accept that the game is different now. We need to rethink what we are trying to accomplish as a species, and what we truly want to do with our time. Do we really want to let technology guide human evolution ever further into a blind, lifeless alley, or do we want to choose only technologies that enhance our humanity? Now is the time for ecology-based design that lets us participate with our hands and minds, that lets us produce what we need the way bees produce honey: without harming the flower. New systems of accounting will track productivity in terms of quality, not just quantity. For example, exemplary companies now track tons of cement or sheets of paper produced per unit of energy (not just per dollar invested). Similarly, to evaluate the overall productivity of farming, the new metrics will track the nutritional value of the food and the health of the farms it came from, not simply bushels of grain or pounds of beef. If we are to save our civilization, all human activity should be based on meeting needs, fully, rather than creating marketable but superfluous wants. A sustainable economy maximizes the productivity of resources in addition to people. When we maximize the productivity of people, we use fewer people, but we have more people than there are jobs. Basically we are using less and less of what we have more of (people) and more and more of what we have less of (resources). That kind of economy just doesn’t make sense. Why not move toward full employment of a part-time workforce, giving us enough income to thrive in an affordable, secure economy and also have enough time for living? It seems obvious that we could very quickly reduce the high unemployment rate by making workweeks shorter and sharing the work, as Germany has done successfully. To fund public services and infrastructure, why not finesse an American political stalemate by cutting taxes on income and levying taxes on fossil fuels and pollution? These are some of the paradigm principles that guide the discussion in The New Normal. More than ever before, we need to rely on intuition and instinct to challenge the stranglehold of institutions. Wouldn’t it be fascinating to come back in a few hundred years to see if we stopped the stampede in time? CB: Thank you David for taking time to answer my questions and thereby give us a powerful and inspiring vision of a new normal. David Wann is a writer, speaker, and filmmaker on the subject of sustainable design and sustainable lifestyles. He’s now completed a trilogy of books about culture shift: Affluenza, Simple Prosperity, and his most recent book, The New Normal. This interview draws largely from material in The New Normal. He lives in Golden, Colorado in a cohousing neighborhood he helped design. To find out more, visit www.davewann.com. I believe there is a Collective Consciousness, but I don’t speak for 7 Billion. Projection makes perception and just because a person says we, that doesn’t make it true. There’s truth and the interpretation of truth. Seems like a lot of book selling going on in that interview.